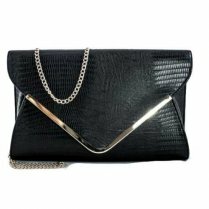 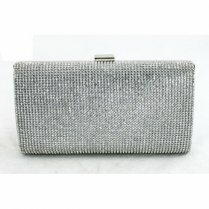 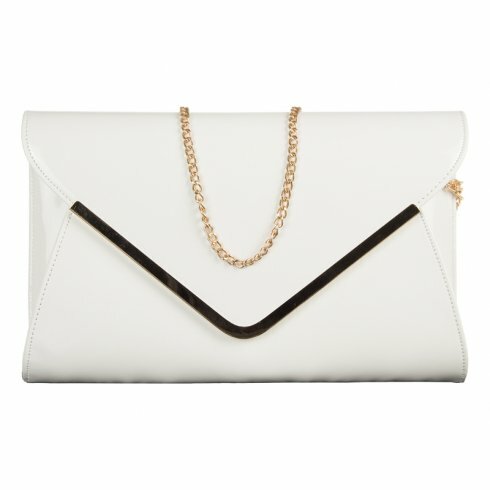 Add a stylish oversized clutch bag to your accessory collection, necessity too complete your outfit. 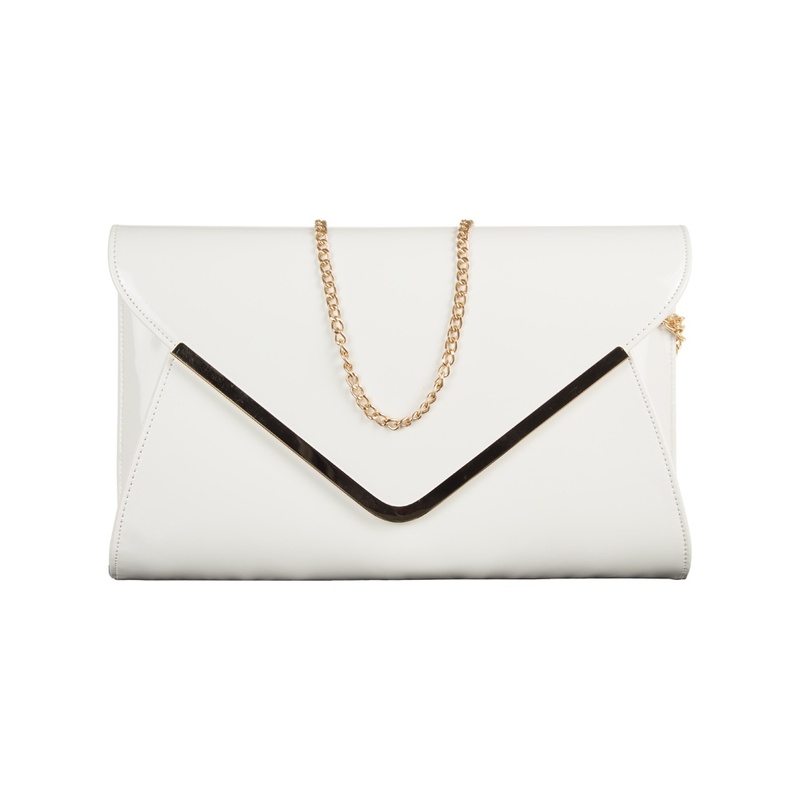 Our white patent leather hard case clutch features an envelope design featuring a gold metal strip high-lightning the flap closure and a magnetic fastening! 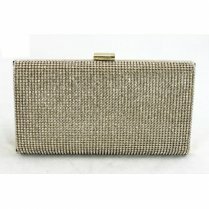 A perfect classic investment.